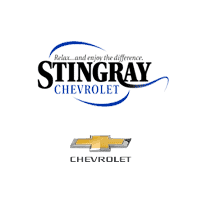 Explore our inventory and find your perfect match here, then keep reading to see why, if it’s performance you want for your Lakeside commute, it’s Stingray Chevrolet you need. KBB.com Top 10 Road Trip Cars. Only 54,379 Miles! Boasts 25 Highway MPG and 15 City MPG! This Chevrolet Corvette delivers a Gas V8 6.2L/378 engine powering this Automatic transmission. WHEELS, GRAND SPORT CHROME ALUMINUM 18 x 9.5 (45.7 cm x 24.1 cm) front and 19 x 12 (48.3 cm x 30.48 cm) rear, TRANSMISSION, 6-SPEED PADDLE SHIFT WITH AUTOMATIC MODES, SEATS, SPORT FRONT BUCKET WITH PERFORATED LEATHER SEATING SURFACES includes back angle adjustment, adjustable lumbar and side bolsters (STD). * This Chevrolet Corvette Features the Following Options *SEAT TRIM, CROSSED FLAG EMBROIDERY ON HEADREST, REAR AXLE, 2.73 RATIO, LIMITED-SLIP, PERFORMANCE, PREFERRED EQUIPMENT GROUP includes Standard Equipment, EXHAUST, DUAL-MODE, PERFORMANCE increases horsepower, adds 6 hp, aggressive exhaust sound, ENGINE, 6.2L V8 SFI (430 hp [320.6 kW] @ 5900 rpm, 424 lb-ft of torque [572.4 N-m] @ 4600 rpm) (STD), EBONY, LEATHER SEATING SURFACES, BLACK TOP, AUDIO SYSTEM, AM/FM STEREO WITH CD PLAYER AND MP3 PLAYBACK seek-and-scan, digital clock, auto-tone control, Radio Data System (RDS), automatic volume, TheftLock and auxiliary input jack (STD), ARCTIC WHITE, XM Radio, 1-year subscription (Requires a subscription sold separately by XM after the first year. Available only in the 48 contiguous United States and District of Columbia. Visit gm.xmradio.com for details. Service not available with a ship-to of Alaska, Hawaii, Puerto Rico or the Virgin Islands.). * The Experts' Verdict...*As reported by KBB.com: If you love your cars American and iconic, the 2011 Chevrolet Corvette is a sports car purist's dream come true. Drivers experience awesome V8 power, amazing handling and an interior filled with enough creature comforts to rival some luxury cars. * Stop By Today *For a must-own Chevrolet Corvette come see us at Stingray Chevrolet, 2002 N Frontage Rd, Plant City, FL 33563. Just minutes away! Clean CARFAX. Cyber Gray Metallic 2009 Chevrolet Corvette ZR1 RWD 6-Speed Manual 6.2L V8 SFI Supercharged 6-Way Power Front Passenger Seat Adjuster, AM/FM Stereo w/CD/Navigation, Bluetooth For Phone, Custom Leather Wrapped Interior Package, Custom Two-Tone Leather Wrapped Seating Surfaces, Driver & Front Passenger Heated Seats, Driver & Passenger Frontal & Side-Impact Airbags, Leather-Wrapped Upper Instrument Panel, Luggage Shade, Manual Tilt/Power Telescoping Steering Column, Memory Package, Rear Compartment Area Cargo Net, Universal Home Remote, XM Radio, ZR1 Premium Equipment Group.Recent Arrival!Visit our virtual showroom 24/7 @ www.stingraychevrolet.com. Only 1 Miles! Boasts 20 Highway MPG and 12 City MPG! This Chevrolet Corvette boasts a Gas V8 6.2L/376 engine powering this Automatic transmission. ZTK TRACK PERFORMANCE PACKAGE includes (FEB) Performance Ride and Handling Suspension, (XFM) front P285/30ZR19 and rear P335/25ZR20 Michelin Pilot Super Sport Cup 2 summer-only, run-flat tires, adjustable high-wing and specific front splitter end caps, ZR1 SEBRING ORANGE DESIGN PACKAGE includes (G26) Sebring Orange Tintcoat exterior color, (J6L) Orange-painted calipers, (Q9H) ZR1 Carbon Flash-painted aluminum, 19 front/20 rear wheels, (09S) Orange custom leather stitch, Orange-painted striped ground effects, (000) Jet Black leather seating surfaces with sueded microfiber inserts with Orange stitching, (AE4) Competition Sport bucket seats, (N2Z) carbon fiber and sueded microfiber-wrapped rim, flat-bottom steering wheel, Orange seat belts, ZR1 logo floor mats with Orange accents and bronze-tinted aluminum interior accents (Also includes (DW9) blackout roof decal. ), ZR1 3ZR PREFERRED EQUIPMENT GROUP includes Standard Equipment. * This Chevrolet Corvette Features the Following Options *TIRES, FRONT P285/30ZR19 AND REAR P335/25ZR20 MICHELIN PILOT SUPER SPORT CUP 2 SUMMER-ONLY, RUN-FLAT, SUSPENSION, PERFORMANCE RIDE AND HANDLING, STEERING WHEEL, 3-SPOKE, CARBON FIBER AND SUEDED MICROFIBER-WRAPPED RIM, FLAT-BOTTOM, SEBRING ORANGE TINTCOAT, SEATS, COMPETITION SPORT BUCKET, ROOF DECAL, BLACKOUT, REMOTE VEHICLE STARTER SYSTEM, REAR AXLE, 2.41 RATIO, ELECTRONIC LIMITED SLIP (ELSD), ORANGE CUSTOM LEATHER STITCH includes seats, instrument panel, doors, console, shifter, boot and shift paddles, JET BLACK WITH ORANGE STITCHING, LEATHER SEATING SURFACES WITH SUEDED MICROFIBER INSERTS. * Stop By Today *For a must-own Chevrolet Corvette come see us at Stingray Chevrolet, 2002 N Frontage Rd, Plant City, FL 33563. Just minutes away! Competitive Financing: Meet with one of our knowledgeable finance professionals and learn about the competitive financing products available to make your Corvette purchase affordable. State-Of-The-Art Service: Our factory-trained and certified technicians working in our state-of-the-art service center ensure that your high-tech machine runs just as it was intended to for as long as you own it. Convenient Research: Whether you’re on the hunt for a dynamic Chevrolet Corvette, a powerful SUV, or a family sedan, use our online tools to get the information you need to make the right choice. Contact us today to learn more about the used Chevrolet Corvette Sports cars available and see how easy and hassle-free getting the car of your dreams can be. While you’re here, check out our comparison between the Chevrolet Corvette and Chevrolet Camaro.